Microsoft STILL has yet to fix their awful DRM licensing issues for Xbox Live Marketplace downloads, locking many people out of the content they've paid for. 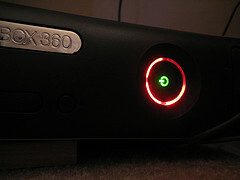 A few months ago (Nov. 7th) my Xbox got the RRoD, and I sent it in to be repaired. After a few weeks, I got it back, fixed, but now everything that I'd bought and downloaded from Marketplace won't run if I'm not signed in with my primary gamertag. This included at least 15 Arcade games, and multiple game-addons. At least $200 worth of purchases. OXM recently had an article on how it was their primary complaint with the console. So not only did my Xbox break, but after the "fix" I've now lost functionality on about $200 worth of purchases. 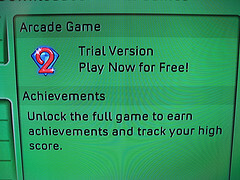 It's very frustrating that in a home with multiple gamertags that used to have access to all the arcade games I've paid for, they now don't because of bad DRM management. The handling of this error has been fairly poor. When I called Xbox support Dec. 6th about this, I was told my downloads would be fixed in 20 days, max, and to call back if it hadn't been fixed by then. It's now been almost 30 and nothing has changed. On Jan. 2nd I called and was told that now it might be fixed on the 12th. Maybe. So now my Xbox hasn't been fully functional for over 2 months, and to top it off, all I'm getting for my troubles is an "I'm sorry" from a call center worker. After asking how they would compensate me for these months that my Xbox or downloads don't work as intended, they said they couldn't do anything for me, and actually hung up on me. I brought my Xbox to my family's over Christmas, but I couldn't show them any of the cool arcade games, themes, downloaded game content or videos because all of this content is completely broken without the internet. I had to explain to everyone that my Xbox broke, and then Microsoft broke the games in the repair process. That doesn't seem like a good way to get people excited about the product, and definitely doesn't make me very happy. At this point, I'm going to think twice before spending money on Marketplace, and I've warned coworkers and friends about how badly this repair has been handled.